When dealing with the text files such as log files, user list, server list etc we can use regex for formally structured files. 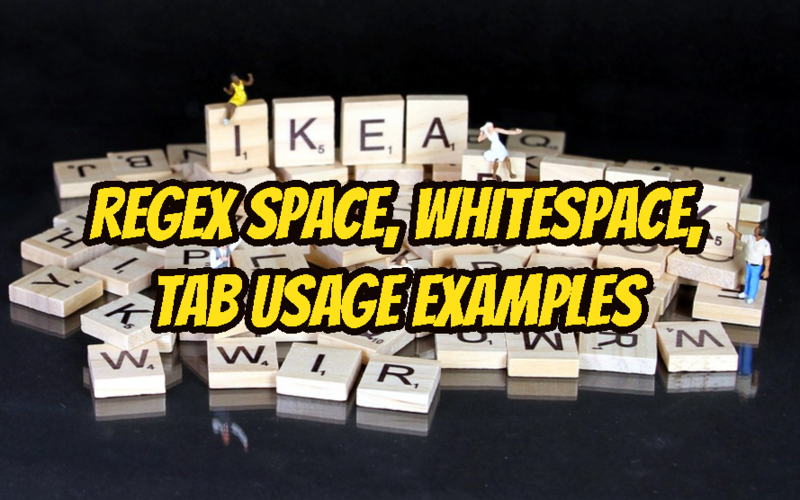 Space, white-space, and tab are popular separating elements used in regex or CSV files. In this tutorial, we will examine how to use regex with space, whitespace, tab or no space, no whitespace and no tab. We will use the following text as an example. This is a test text. We will provide different lines. For example this sentence contains spaces and tabs. Thislinedonotcontainsanyspaceortab. We will provide different lines. For example this sentence contains spaces and tabs. If we want to skip the space or whitespace in the given text we will use -v before the \S. In this example, we will only print the lines that do not contain any space. The tab is a whitespace character which contains multiple spaces. We can maths those contains tabs with the \t like below. PHP provides all features of the regular expressions. We can math lines that contain spaces with the preg_match() function like below. We will put matches to the $mathes variable and print with the print_r() function. LEARN MORE How To Create Case Insensitive Regex? Python language provides the match() function from re module. We can use \s with python in order to match spaces like below. text="This is a space delimited line."